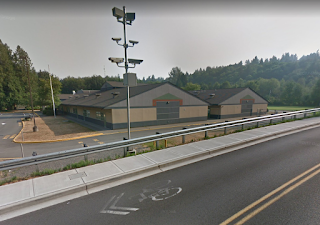 On Friday, January 26, 2018 Brookside Elementary parents were understandably concerned when they received a notice from the school that it was in Lockout because of police activity in the area. The Lockout started at 3:11pm at the end of the school day. In a Lockout no one is allowed in or out of the building but activities can continue inside because there is no direct threat to the school itself. In a Lockdown, the threat is perceived to be to the school itself. Staff and students have to turn out the lights and hide. In this case, according to LFP Police, a suspect ran from an officer, then crashed his car. He exited the car, which some bystanders said was in a creek, and ran. The police told the school to go into Lockout, while a K9 unit and multiple officers searched the area. They searched for 45 minutes and determined that the suspect was not in the area. The Lockout was lifted and school busses arrived at 5pm to take the kids home. Police are reasonably certain they have identified the suspect, who is known to have outstanding arrest warrants. The investigation continues. Brookside is at 17447 37th Ave NE, Lake Forest Park 98155.